"Where's the diesel horn! Sound the diesel horn!" A lifelong Redskins fan screams as he watches John Riggins plow his way into the endzone in a Super Bowl 17 highlight playing on a television nearby. "That was the greatest run of all time, ALL time!" The children around him don't seem to care, but other older Redskins fans agree with the man. A conversation starts about the old days at RFK stadium, seats behind the cheerleaders, playoff memories, and how the Redskins brought together fathers & sons. 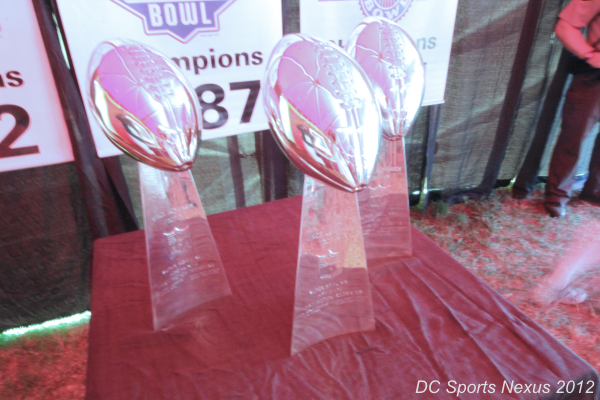 The scene described took place at Washington Redskins Fan Appreciation Day, in a line where dozens of Redskins fans were waiting to take a picture with the team's three Super Bowl Trophies. 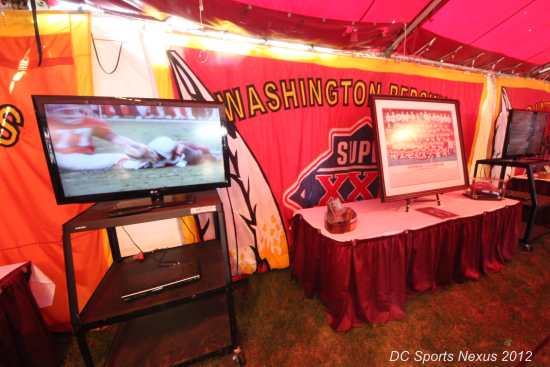 While waiting in line, fans were able to watch highlights of the three Super Bowl wins looped on TVs, view various banners & game balls from Super Bowl Seasons, and look at team photos of the championship Redskins of the past. All leading up to the coup de grace, a photo with the Super Bowl trophies. The nostalgia surrounding the queue was immense, and for those who lived through the Super Bowl days it was a great reminder of the joy of a once proud franchise. But for another generation, it is just a dated reminder of why their parents are Redskins fans, and the reason that Redskins Training Camp has been filled with small children wearing jerseys of other NFL teams. For the kids, the Washington Redskins are just a team that plays football on TV for 16 Sundays a year and no more. A team that their father watches each week yelling at the screen, living and dying on every play. While they wear their Tom Brady and Eli Manning jerseys they wonder why their father is wasting his time on the Washington Redskins. If only the children could know how important, how amazing, and how wonderful it was to win 3 Super Bowls in 10 years...Instead their understanding is the joke that has been the Washington Redskins for the past 20+ years. No matter how much video is shown, or how many tents filled with memories are constructed, the only way to get the next generation of the DC area fully involved is to create a new winning tradition. And with RG3 and a new Redskins attitude, that could be starting right now. So 20 years from now, while they are standing in line at Redskins Space Park for Fan Appreciation Day, let's hope that the next generation of fans is watching highlights of RG3 and Shanahan Super Bowls and not still talking about the glory days of the 1980's.